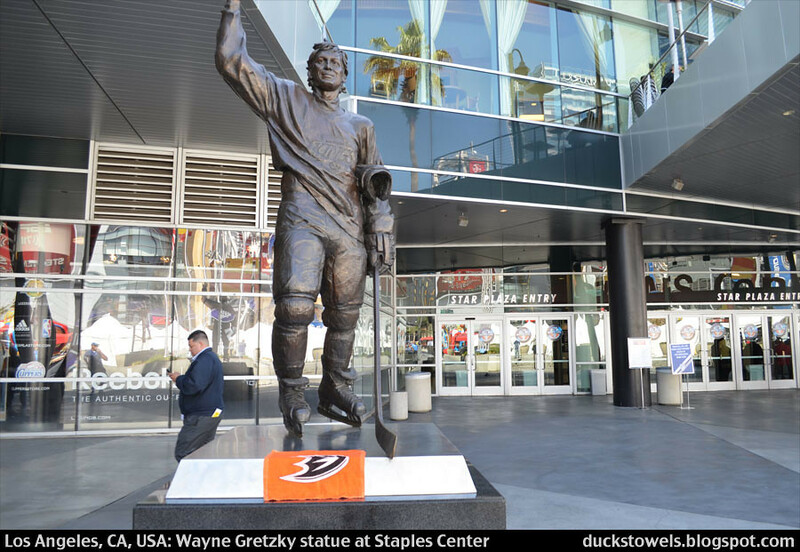 The statue of Wayne Gretzky, known as the greatest hockey player of all-time, outside Staples Center was erected on the same night that his jersey was raised to the rafters in the arena. It is 125% the actual size of Gretzky, who played for the Los Angeles Kings during their days at the Great Western Forum from 1988 to 1996. The statue is among several outside the arena; the others are of Magic Johnson, Oscar De La Hoya, Chick Hearn and Jerry West.